The Instant Pot is a best selling pressure cooker product series that can be used to prepare a wide variety of meals. There are nine models and several sizes to choose from. 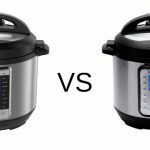 However, the Instant Pot Ultra and the Instant Pot Duo are two of the most popular options. Choosing between these two pressure cookers is not easy without exploring their features. 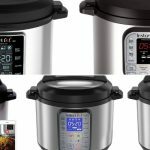 If you want to find the right Instant Pot, you need to take a closer look at their similarities and differences. 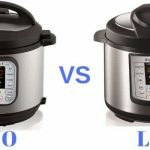 Conclusion – Which Instant Pot Should You Choose? Here is a quick comparison between the two models for a quick glance of the most important features. The Instant Pot Duo is the third model of the popular pressure cooker and the best selling pressure cooker. It is a seven-in-one pressure cooker. You can prepare stews and rice, and you can steam vegetables and make yogurt. It also comes in three different sizes. Have in mind that there is a more advanced version of the older DUO model, the DUO Plus 60 which we have compared with the regular Duo model in this post here. 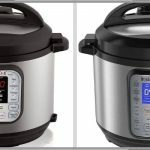 The Instant Pot Ultra on the other hand is one of the latest versions in the product series and includes a few extra features that make it a ten-in-one appliance. You can prepare everything that you can prepare with the Duo. You can also make cakes and cook eggs. However, there are two important new functions that help this version stand out. 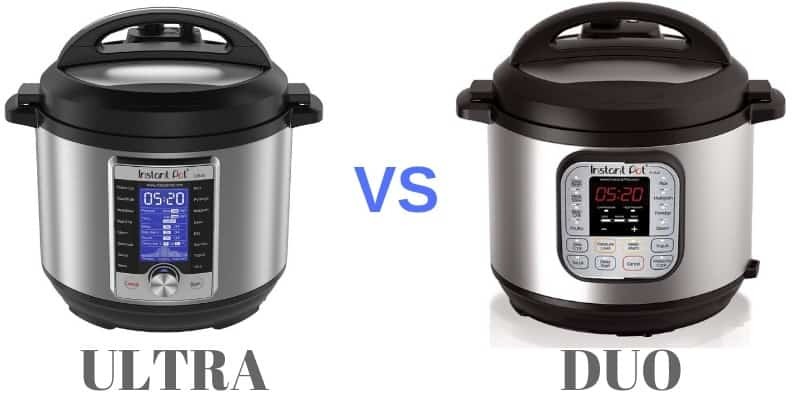 With the Instant Pot Ultra, you also get “sterilize” and “ultra” functions. The sterilize function can be used to sterilize items. You can sterilize jars, canning equipment, and even baby bottles. You can also use the sterilize function for pasteurizing dairy products. The “ultra” function provides complete control over the appliance using the setting dial on the front of the pot. 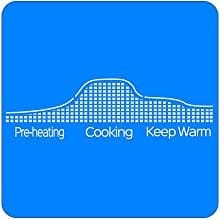 Instead of using preset functions, you can adjust the temperature, pressure level, and cooking time manually. You can also set the delay timer. The Instant Pot Ultra can even store your custom settings. The Ultra version also provides a different interface. 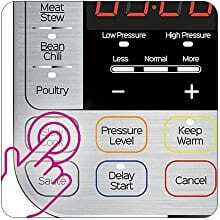 The digital display contains more information and requires you to use the setting knob to choose a cooking function. Another difference between the two is the pressure relief valve. On the Duo, the valve is manually opened or closed. The Instant Pot Ultra features an auto-closing pressure valve, which provides slightly safer operation. The Instant Pot Ultra was released in 2017 and was designed to provide even more functions compared to the popular Instant Pot Duo and Duo Plus models. As mentioned, it includes several functions that are not included on the Duo. It adds functions for cooking eggs and cakes. It also includes a sterilizer and a custom mode that gives complete control over the settings. The new interface on the Ultra provides a clear view of the current settings. It even includes a progress indicator to let you know how the current cooking is going. When using the “Ultra” mode for custom cooking settings, you need to adjust the settings using the control knob below the digital display. 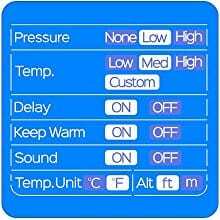 While the custom mode gives complete control, the knob is a little sensitive, making it easy to accidentally choose the wrong temperature. You can choose from three different sizes. The Instant Pot Ultra comes in a three, six, or eight-quart version. It is a quality pressure cooker that maintains the same high standard set by the earlier Instant Pots. However, it adds new features that may appeal to certain users. The main benefits include the new functions while the main drawback is the knob control and its higher price compared to other models. The Instant Pot Duo is the best selling Instant Pot. It also comes in three different sizes and has a digital display. The display is a little smaller compared to the Ultra, but the control panel may be easier to use. You can simply press a button and start cooking. The Duo is a seven-in-one Instant Pot. You can use it as a pressure cooker, slow cooker, steamer, rice cooker, yogurt market, warmer, and it allows you to sauté food. While it includes a manual mode, it only allows you to choose between high or low pressure. You cannot set the temperature as you can on the Instant Pot Ultra. The pot itself is made from high quality stainless steel. It holds up to repeated use, but may eventually get scratched if you tend to let food dry and harden on the surface (something which can happen to any pressure cooker in the market). While it is already less expensive compared to the Ultra, the Instant Pot Duo tends to go on sale frequently. It is more affordable and still contains the same high-quality design. The only disadvantages of choosing the Instant DUO are related to the features that it lacks compared to the newer model. It does not allow you to cook eggs or cake. It also does not include a sterilizer or an automatic pressure valve. However, the Duo is still a great choice when you want an affordable, easy-to-use pressure cooker. In most cases, you can save considerable money on the Duo compared to the Ultra. The Instant Pot Duo and Ultra are both great appliances that can be used to make a wide variety of dishes. However, the Instant Pot Ultra includes many features not found on the other model. With the Instant Pot Ultra, you get ten functions instead of seven. The added options include preset cooking modes for preparing eggs and cakes. It also has a sterilize function that can be used to sterilize baby bottles and utensils. Besides the added functions, the Instant Pot Ultra also comes with a custom mode called “Ultra.” With this new cooking mode, you can set the temperature, delay timer, pressure level, and cooking time. You can also store these settings. Some users also prefer the new interface on the Instant Pot Ultra. It is easier to read and operate. However, the Instant Pot Duo still has a couple of advantages, starting with the interface. While the Ultra has a larger digital display, the Duo has a simple interface that is easier for beginners to use. You also spend less when buying the Instant Pot Duo. Depending on the latest sales, the Duo may cost about two-thirds of the price of the Ultra. In the end, the Instant Pot Ultra provides more functions, while the Instant Pot Duo costs much less. Another great option is the Instant Pot DUO PLUS which is an advanced version of the older DUO60 and has similar features with the Ultra model (in a much lower price). 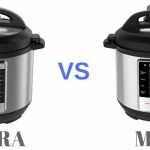 Instant Pot ULTRA vs MAX – Which Model is the Best? 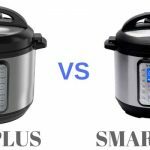 Instant Pot DUO Plus vs Smart WiFi – Which is the Most Solid Option?